Three-year sales growth of 201% places them at #2195 on the 2018 list. Mt. 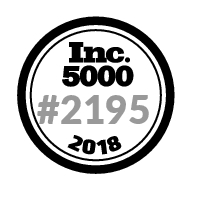 Vernon, NY, September 07, 2018 --(PR.com)-- Westchester-based Durante Rentals, with ten locations throughout New York, New Jersey, and Connecticut, has been selected to Inc. Magazine’s exclusive list of 5000 of America’s fastest-growing private companies – The Inc. 5000.